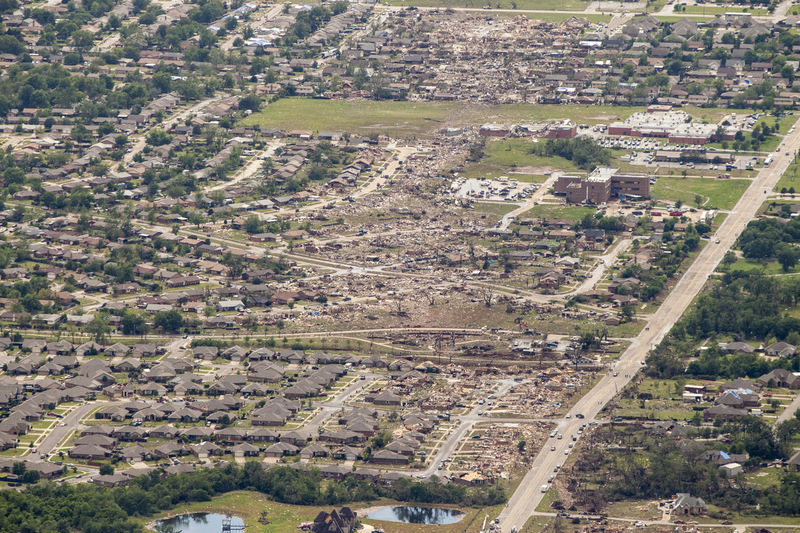 The city of Moore was the epicenter of an EF5 tornado Monday, May 20, that decimated neighborhoods in the Oklahoma City area and took the lives of some of its citizens. 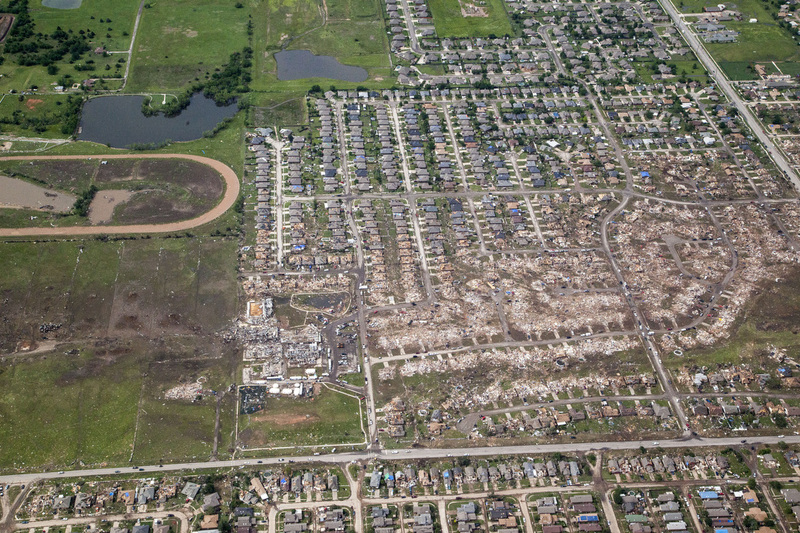 Teams are still evaluating the destruction, and the rating released Tuesday, May 21, is preliminary. 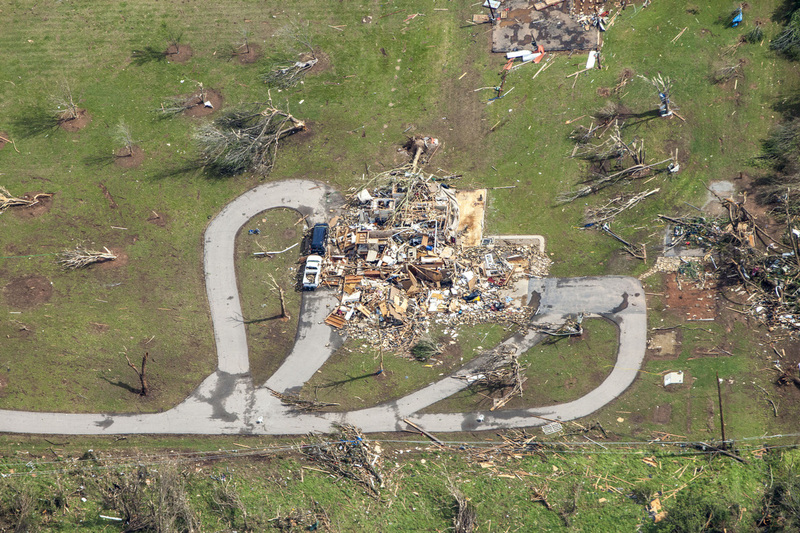 So far, they've found that the tornado spanned 1.3 miles -- the length of more than 22 football fields lined up end-to-end -- carving a 17-mile path of destruction. 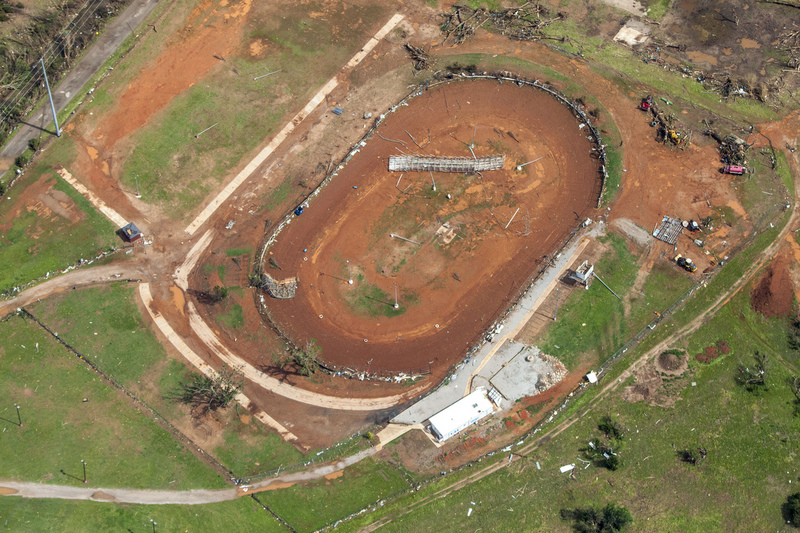 On Tuesday, CNN sent photographer David McNeese to capture the story from above. 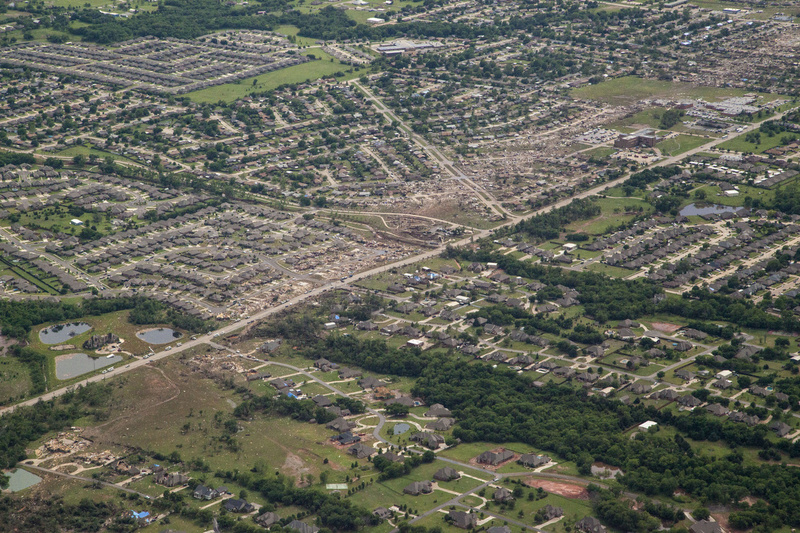 An aerial view of the destruction caused by the massive tornado that struck areas south of Oklahoma City on Monday, May 20, shows the magnitude of damage left in its path. 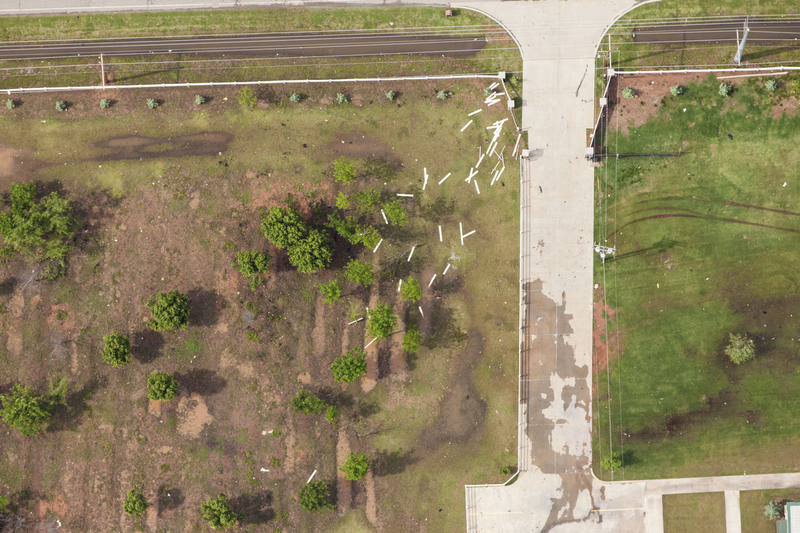 The storm's winds topped 200 mph as it carved a 17-mile path of destruction through Oklahoma City suburbs. 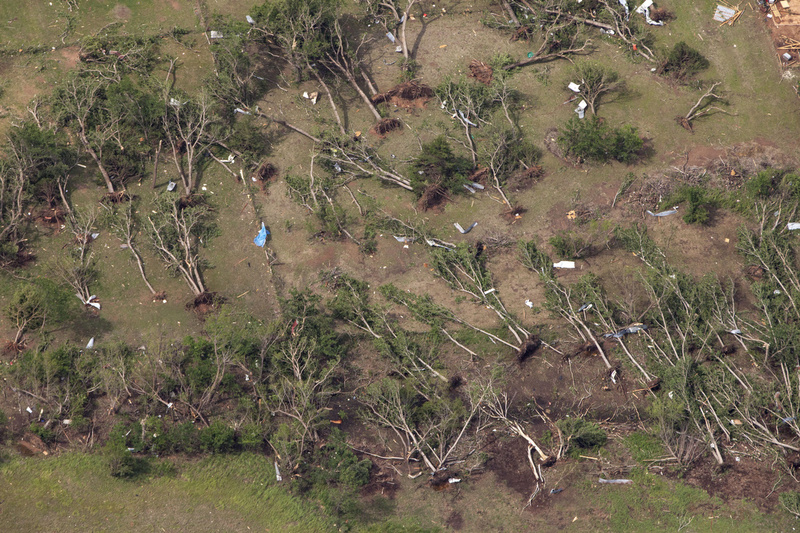 The storm, which touched down near Newcastle, Oklahoma, spanned 1.3 miles. Some areas along the path were completely flattened. 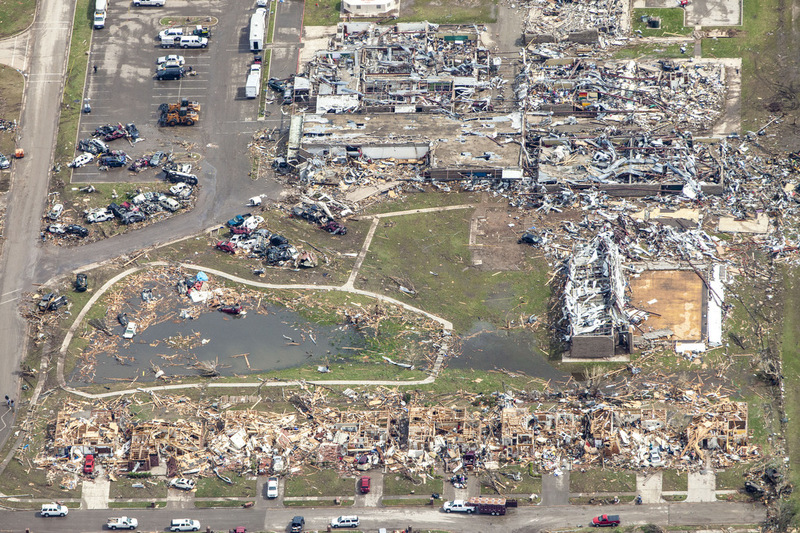 Officials from the National Weather Service gave the tornado that hit Moore, Oklahoma, on May 20 a preliminary EF5 rating -- the highest score on the scale that measures tornado intensities. 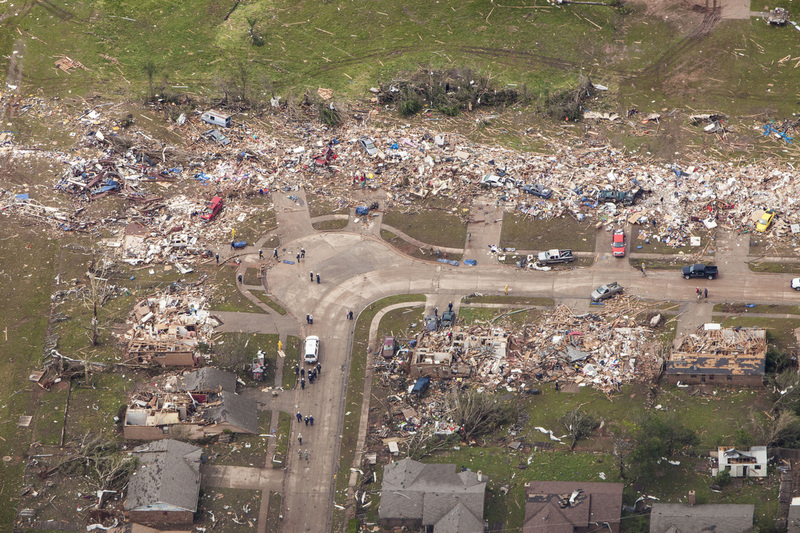 The tornado tore through the Oklahoma City suburbs, hitting the town of Moore the hardest. It packed winds that topped 200 mph. A search-and-rescue effort to find survivors shifted Tuesday to one of recovery, officials said. 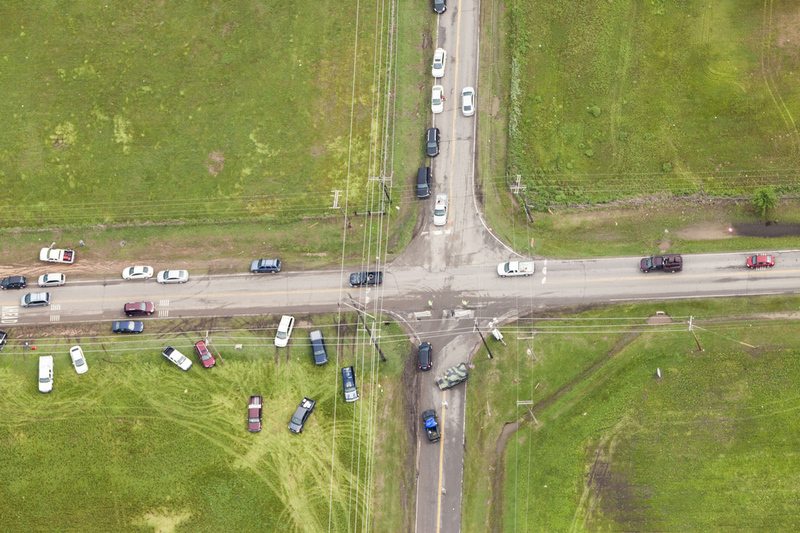 The devastation in Moore was so complete that the mayor said city officials were racing to print new street signs to help guide rescuers and residents through a suddenly twisted and unfamiliar landscape. A group of homes was reduced to rubble. 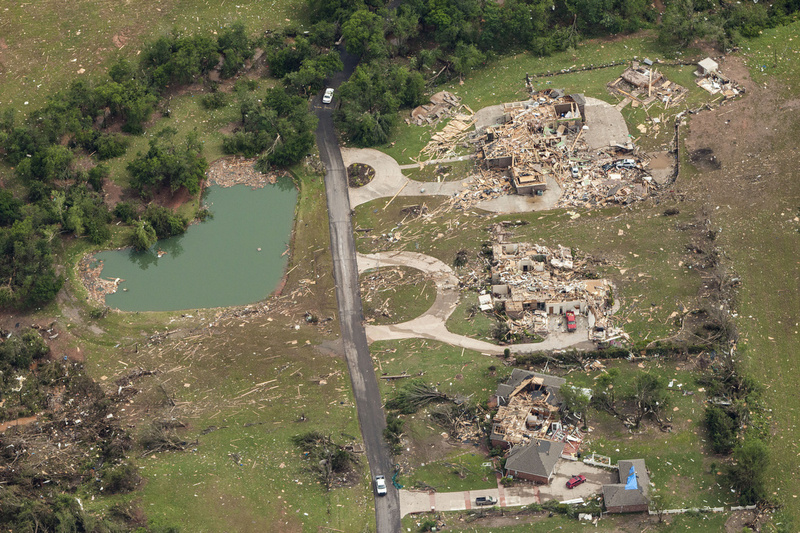 Debris from homes and structures was strewn for miles around. 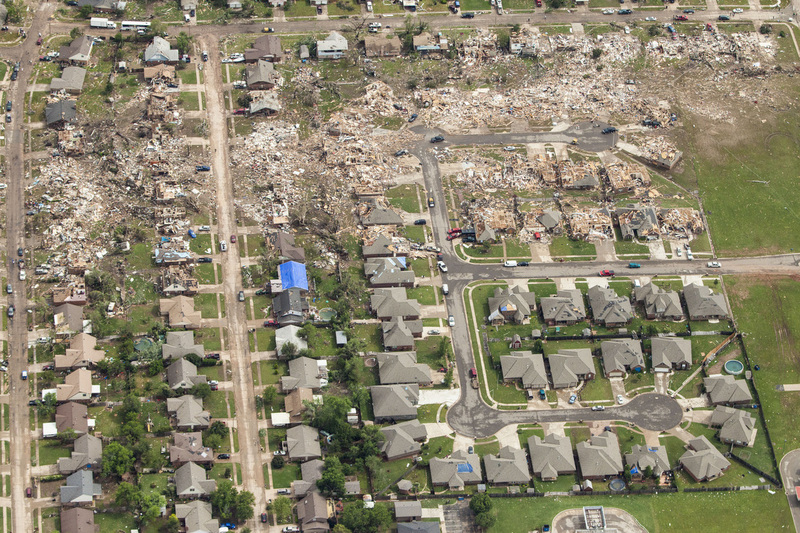 In some areas, the homes of an entire street were destroyed. Rescuers and first responders immediately began searching through the rubble of structures on May 20. Large trees were uprooted and flattened. 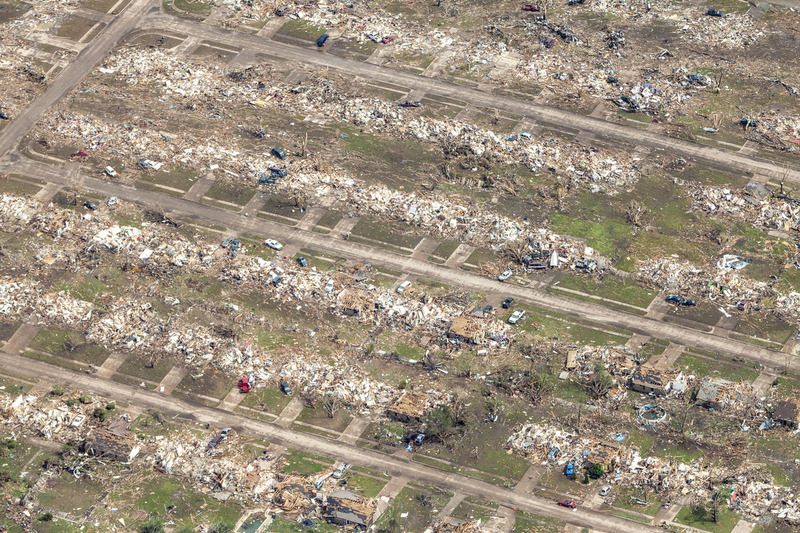 Given its breadth and power, the tornado ranks among some of the strongest storms ever to strike the United States, CNN senior meteorologist Dave Hennen said. 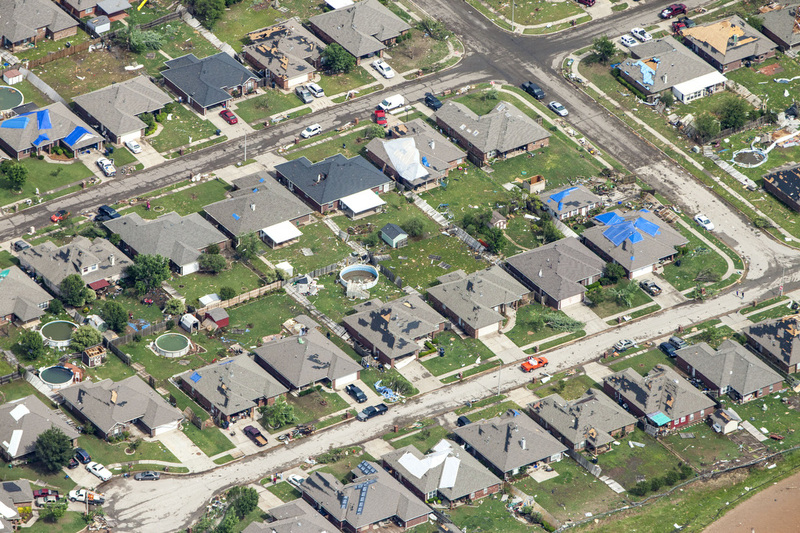 Homes in some areas were relatively undamaged while others very nearby were destroyed. Police, firefighters, volunteers and nearly 180 National Guard troops joined forces Tuesday in searching the rubble and securing areas hit by the storm. 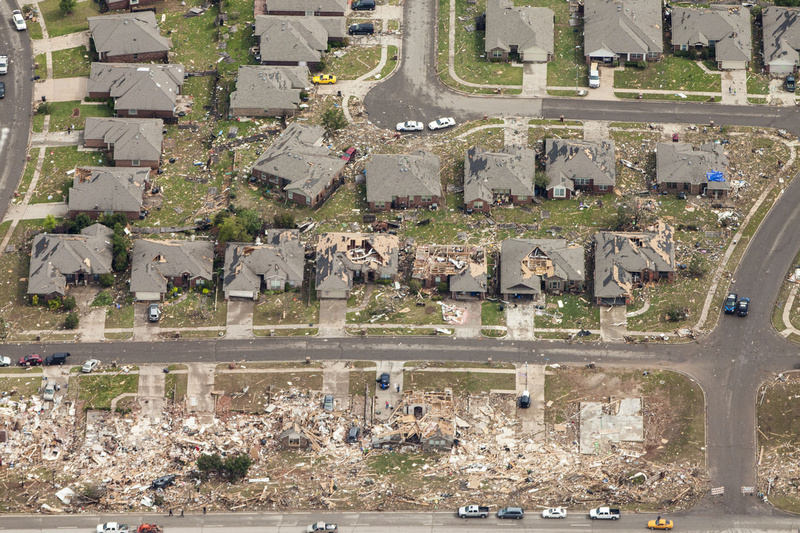 In 1999 and then again in 2003, Moore took direct hits from tornadoes that took eerily similar paths to 2013's twister. 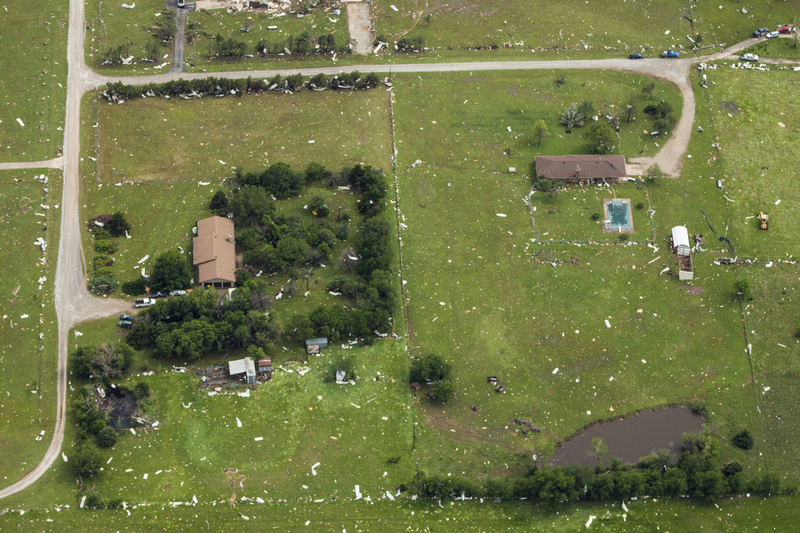 The 1999 storm packed the strongest wind speeds in history, Lt. Gov. Todd Lamb said. 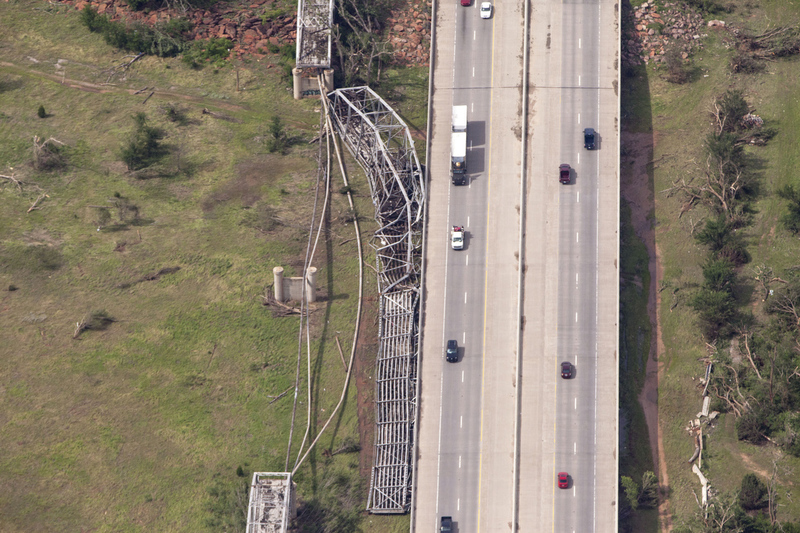 A section of a bridge outside of Oklahoma City was blown off its foundation. 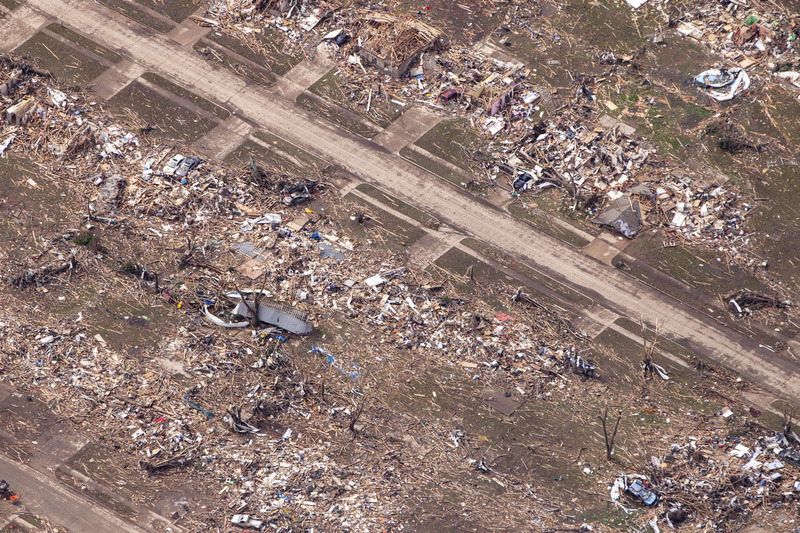 The path of the tornado is clearly visible with dirt and debris painting a wide path across the Oklahoma landscape. 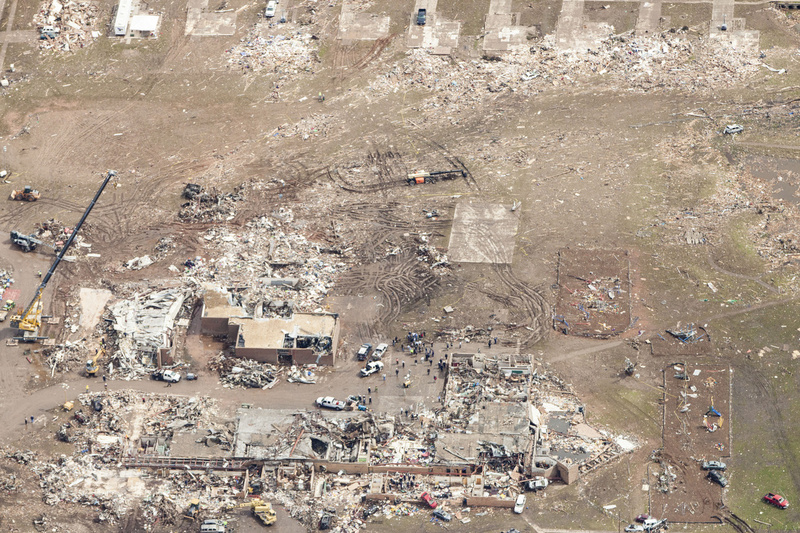 The scene -- block after block of flattened homes and businesses, the gutted remains of a hospital and hits on two elementary schools -- left even seasoned veterans of Oklahoma's infamous tornadoes reeling. View more galleries: Deadly tornado hits Oklahoma City area and The devastating Oklahoma tornado of 1999.